My husband and son love cereal. They want it every morning. I could take it or leave it. 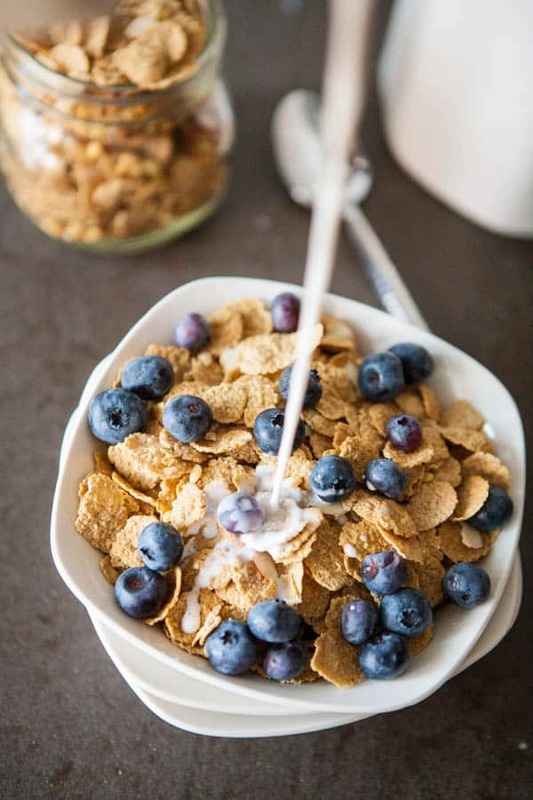 I know breakfast is the most important meal of the day, but I still regularly eat no more than a banana, handful of berries or a a little container of yogurt first thing in the morning. I know I should eat a more nutritious, well-balanced breakfast, but I don’t. I have wished for a while that I could have an easy fiber filled, protien packed, healthy fats and fresh fruits in one little bowl. Most cereals make everything but the protein part pretty simple. But the high protein is the most important part to most of us! Well now I’ve found a protein filled cereal that has made my mornings a bit easier. I was introduced to this new cereal about two weeks ago that I’m so excited to tell you about today. It’a s cereal that’s loaded with fiber AND protien and actually tastes great. It’s made by ViSalus, the same people that make that incredible protein shake that I made this blueberry banana bread with. It’s lightly sweetened crunchy flakes, almond slices with a sweet cream flavor. We like to eat it with whole milk with a few berries or sliced bananas on top. I love that it’s loaded with protien, and with a splash of whole milk, I can add some beneficial fat for myself and my growing son and add a bit more nutrition and flavor with some fresh fruit. To add additional protien to your breakfast, all you have to do is mix ViSalus Vi-Shape nutritional shake mix in water and pour over your cereal. 5g fiber – that’s 20% of your daily fiber requirement! Did I mention they also have a new super indulgent chocolate granola? 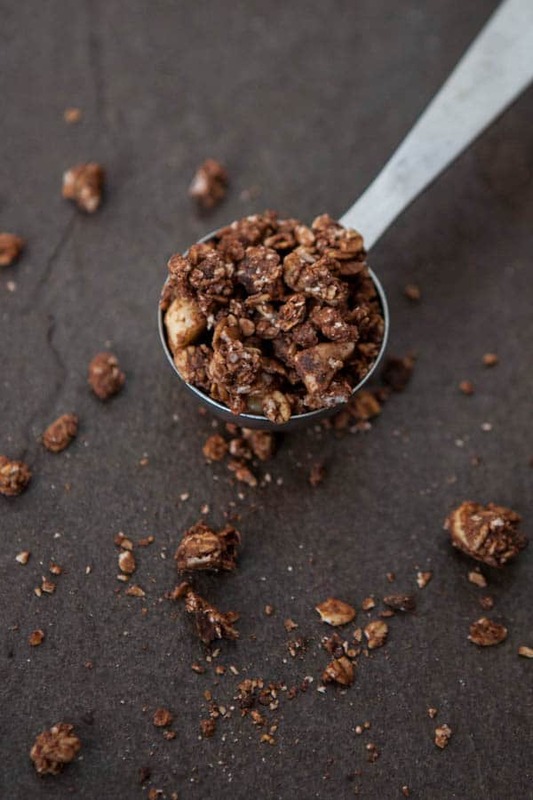 It’s called Vi Crunch™ Fusions- Chocolate Macadamia Granola. It’s a delicious chocolate granola with green tea coffee extract. 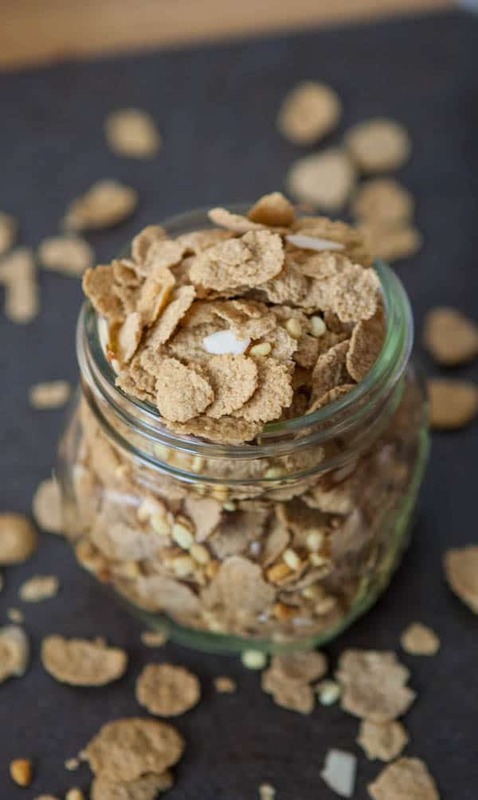 You can enjoy this granola mixed in with Vi Crunch™ Protein Super Cereal, with yogurt, cottage cheese, with your Vi-Shape share or as a healthy snack throughout the day. ViSalus Crunch line has been designed by the ViSalus Scientific Advisory Board to be scientifically sound for your body. Their board includes a Ph.D. in human nutrition, medical doctors, microbiologists and is reviewed by toxicologists. Steven Witherly, a leading expert in the field of food science, has lead the research and development for top companies – including name brands that you see on the shelves of supermarkets. This post sponsored by ViSalus. I make none of my own nutritional claims to this product. All claims and statements about nutrition are directly from ViSalus. All opinions 100% mine. Now I want a big bowl of cereal stat!